Over Stock Special! 49-3/4"W Wall Mount Custom Wood 16 Pocket Sorter in Walnut - FREE shipping!! Over Stock Special! While supplies last! 49-3/4"W Wall Mount Custom Wood 16 Pocket Sorter in Walnut (Walnut only). This model can be on a table top or fasten to a wall . 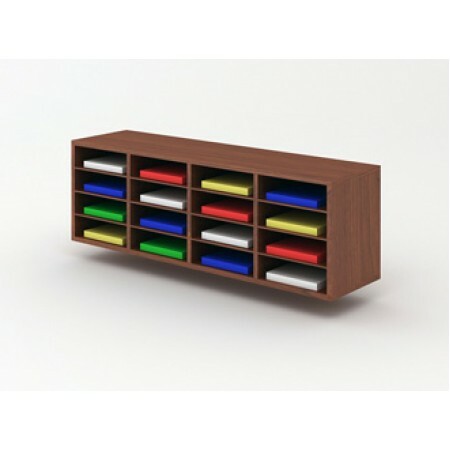 These models can be designed for a single organizer, a stand alone mail delivery station or a complete mail center. Each pocket is adjustable in 1" increments for the perfect pocket height. Available in Walnut only. IMPORTANT: Because of all the different wall materials assembly to the wall is the customers responsibility. Helpful instructions are included. 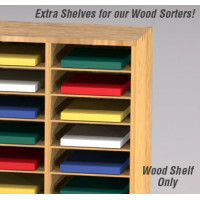 Custom wood sorters and tables are produced per order, In stock for immediate shipping, while supplies last. 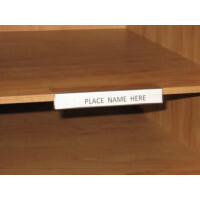 This is an overstock special - No returns.